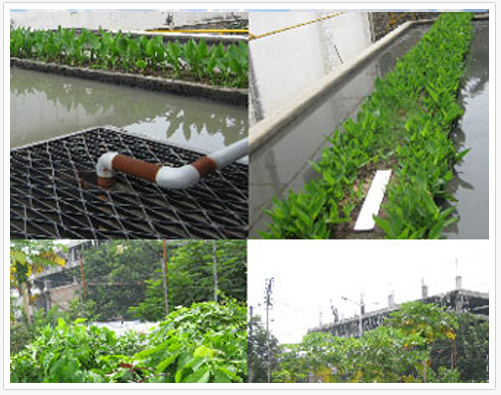 SBT can be applied to Organic quality of Industrial and Urban community wastewater. For e.g. Compost & Landfill leachates, Dairy, Distillery, Golf Courses, Hotels & Resorts, Malls, Paper & Pulp Mills, Rice Mills, Software Parks, Schools & Colleges, Textile Mills, Townships, & Wineries etc. 1. Rain water harvesting via storm water conservation, primary purification of drinking water, primary purification of swimming pool water. 2. Sewage treatment for reuse in construction, cleaning & gardening, ground water recharge, make up water for swimming pools (Without Chemical Treatment), industrial air purification (Volatile Organic Compounds emissions). 3. Organic Solid waste conversion, Municipal Solid waste processing, animal house waste processing, and hospital waste disposal.